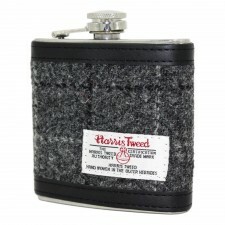 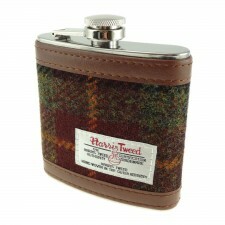 6oz stainless steel hip flask covered with brown leather and red tartan. 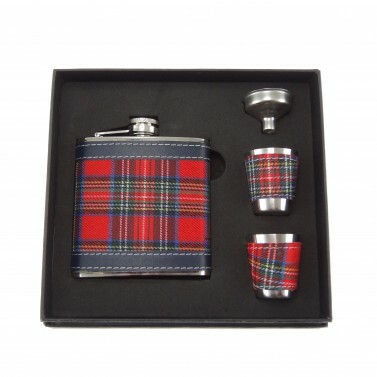 Hip flask & funnel and 2 shot cups supplied in a black presentation box. 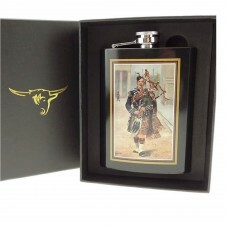 Ideal gift for birthdays, weddings, Christmas - or just as a treat for a whisky lover. Presented in Scottish red tartan.